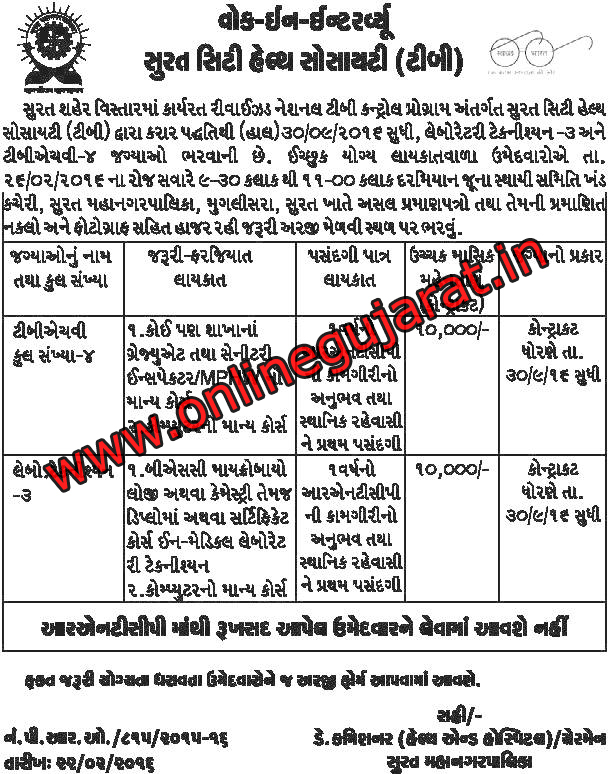 NRHM SURAT published notification for recruitment for various 38 posts . Selection Process: Selection Base On Interview . Eligible candidates may Go to Interview With their xerox copies of all necessary certificates , to given below address.